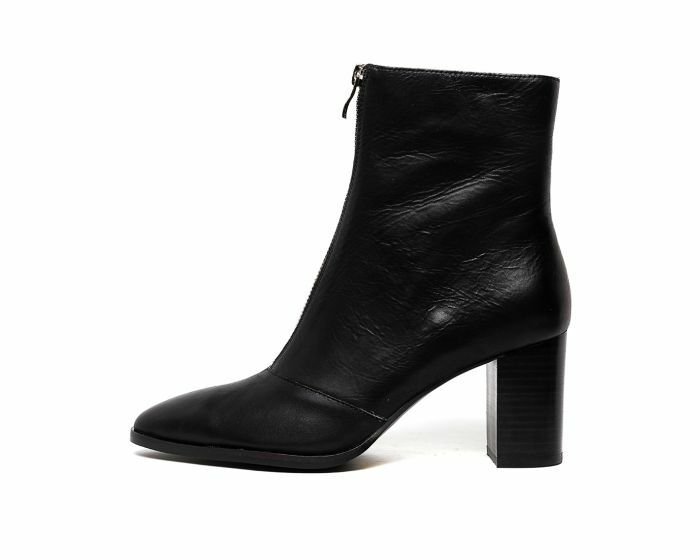 The hallmark of every well-considered wardrobe is a chic pair of ankle boots. Set to be a firm favourite in your winter edit, ARIANE is beautifully crafted from buttery leather. The definitive pair is accented by a functional zipper on the front and on-trend point toes that rest atop 75mm block heels. From dresses to denim, the pair works effortlessly with everything in your wardrobe.